Many associate Chinese export with blue and white designs only, not acknowledging the vast and beautiful other designs which make up this category of porcelain. Coloured enamel ware are pieces which really excite collectors and are at the top of the market. Made over three centuries and decorated with designs of Chinese myths and botanics, 'famille rose' and 'famille verte' are still some of the most desired Chinese export pieces on the market. 'Private trade' porcelainwere pieces which had been commissioned by Dutch and English East India Company directors or investors, the rich American class and European royalty and aristocracy. These works included dinner services, tea services and decorative objects with made to order designs, including European coats-of-arms. 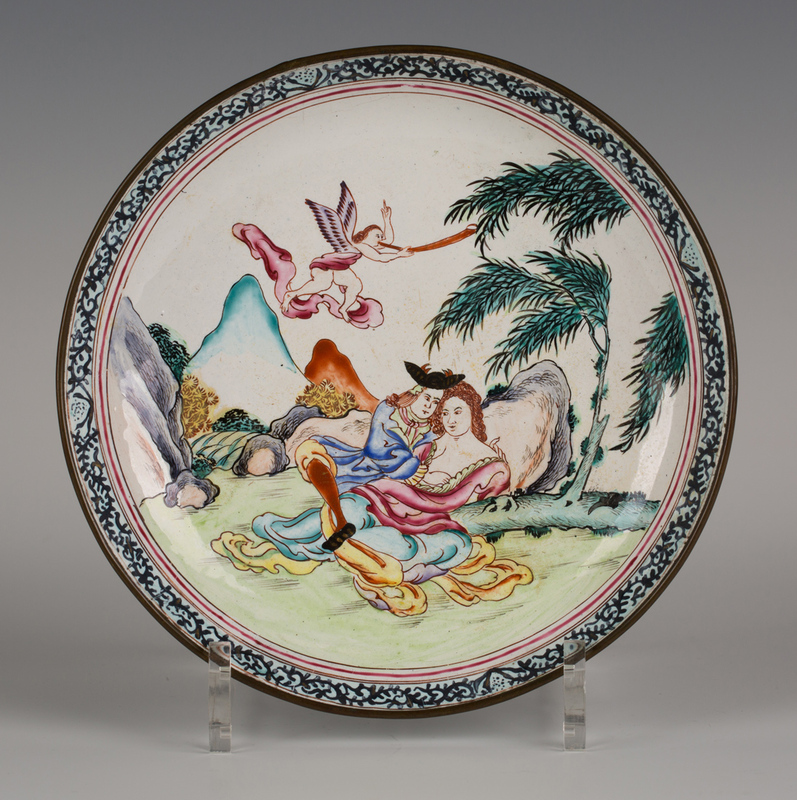 A Chinese Canton export enamel saucer dish, Qianlong period, painted with a scene of a European couple in an amorous embrace beneath a willow tree and Cupid, diameter approx 19cm (minor hairlines). 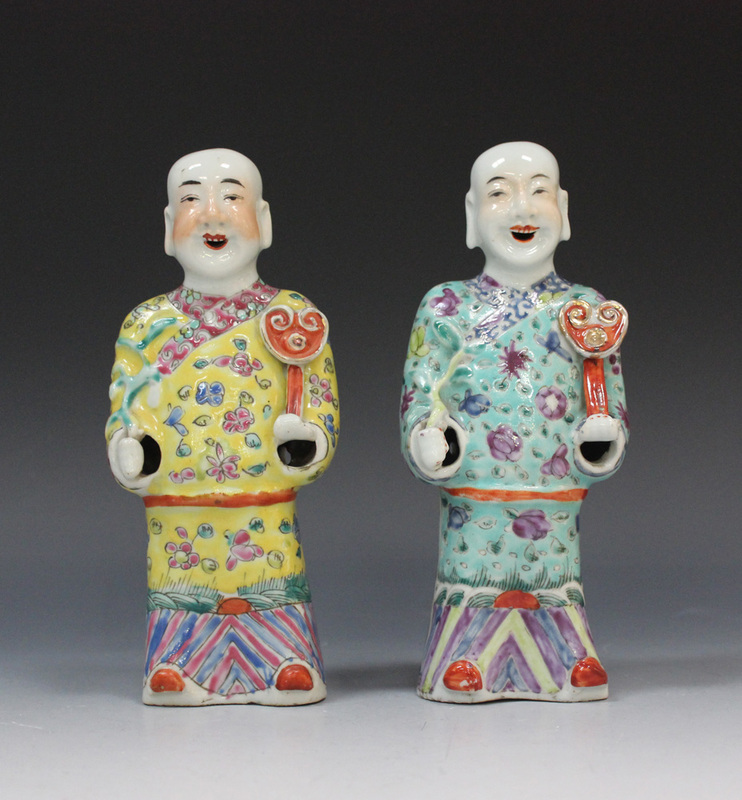 The 'European subject' which adorned Chinese export gives the porcelain its quirk. 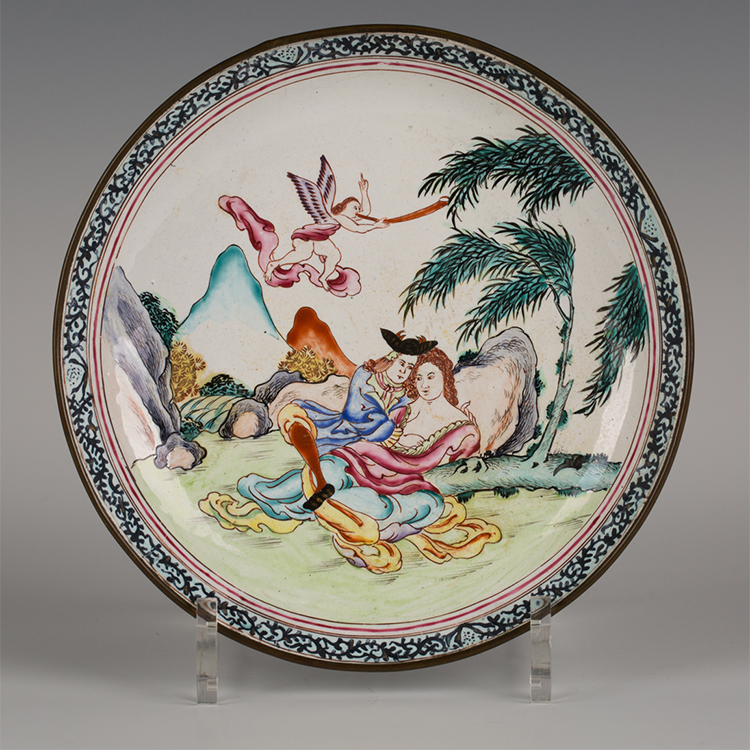 These wares were painted to order in China as a result of Western paintings gaining popularity in the Far East. Designs include landscapes, myths, historical scenes and political or satirical cartoons. All pieces featured are part of Toovey's Asian & Islamic Ceramics & Works of Art sale on 11th August. The full sale will auction will run from 9th-12th August, 2016. Check out the catalogue on Barnebys here.